Dr. Gary Epler is an internationally-known Harvard Medical School professor and thought leader in health, fitness, executive productivity and peak performance. He is a bestselling author who has impacted the lives of people throughout the world through his speaking engagements, books and teaching. He has been called upon by individuals from around the globe who have a rare lung disease called BOOP that he discovered. Dr. Epler is a successful serial entrepreneur as a founder and CEO of three companies including a biotech company, a nutraceutical company and a medical risk management company. He is an award-winning speaker, addressing audiences about health, nutrition, productivity and leadership. Dr. Epler has been recognized yearly since 1994 in The Best Doctors in America and featured as one of Boston Magazine’s “Top Doctors in Town.” He found a new lung parasite in South America, chronicled the nutritional needs of North Afri­can children, and managed the tuberculosis refugee program in Southeast Asia. He has been a hospital Chief of Medicine and Board Member. He has written more than 110 scientific publications, given more than 500 seminars and workshops around the world, written a medical thriller movie and a medical drama TV show, and is a radio TV personality. He has written four health books in the critically acclaimed “You’re the Boss” series about people taking charge of their health including Manage Your Disease, BOOP, Asthma, and Food. Dr. Epler’s current book Alive with Life is about how to live an exhilarating life filled with high-energy, creativity, enjoyment, positive experiences and extraordinary people. Dr. Epler ran several marathons including Boston and New York, and proposed to his wife, Joan at the start of the Paris Marathon; and for their first anniversary, they ran the original Greek marathon together. He is active in the community as he coached soccer, basketball, hockey, baseball, and club baseball at Boston College. 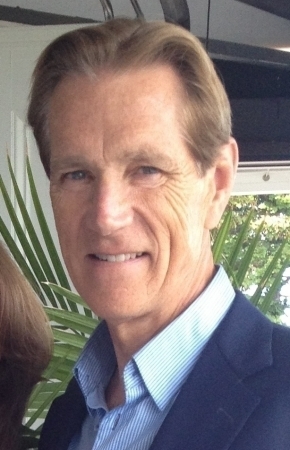 Dr. Gary Epler lives in the Boston area with his wife, Joan.